Mariette Overschie received her MSc in Industrial Design Engineering and Design for Sustainability from Delft University of Technology in 1994. 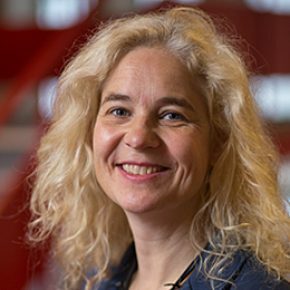 Since 1999 she has worked at TU Delft as lecturer and researcher in the field of Engineering for Sustainable Development and Technology Assessment at the Faculty of Technology Policy and Management. From August 2015 she is part of the chair in Environmental Technology & Design at the faculty of Architecture at TU Delft. She is preparing her PhD thesis on micro-training to involve employees in innovation for sustainable development.